China sceptics who have been waiting for a hard-landing may find the latest economic figures surprising. Not only did China’s Purchasing Managers’ Index (PMI) stay resilient at 50.4 — the highest reading since November 2014, its Producer Price Index (PPI) at 0.1% was at its highest since mid-2012. With the support of improving exports, robust property sector and acceleration in infrastructure investment, we are now seeing some upgrades to growth forecasts in the market. If China is going through an L-shaped economic recovery, we probably have passed the vertical part and are stepping into a more stable horizontal phase. Based on the recent encouraging figures, the authorities should have no problem achieving their 6.5% growth target for the year. 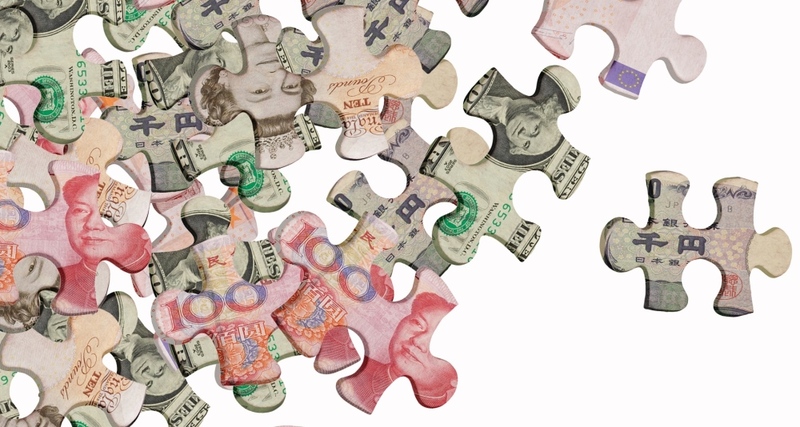 On 1 October, the Renminbi (RMB) formally joined the International Monetary Fund’s special drawing rights — an international reserve asset whose value was previously determined by a basket of the US dollar, euro, yen and pound. This marked a key recognition for China on its long march to elevating its currency’s global prominence, and will also bring about closer interaction between China’s capital market and that of the rest of the world. On top of that, the Shenzhen-Hong Kong Stock Connect Program is expected to launch in November. Once Hong Kong, Shanghai and Shenzhen exchanges are all linked together, the combined market capitalization of these three exchanges will be the second largest in the world, just behind New York. It is a win-win situation for Hong Kong and the two domestic Chinese exchanges, driving great liquidity and price discovery. The new connect program is also important because it should enable MSCI to justify the inclusion of China A-shares in its indices by next summer, if not sooner. China has tried for several years to persuade MSCI to include A-shares in its indices, and this time there is a genuine chance that they can succeed. Access to A-share markets has been limited in the past, which has been the greatest hurdle to MSCI inclusion. The government’s decision to approve the go ahead with the connect scheme is also symbolic to investors that Beijing remains committed to its program of reforms and capital account opening, despite speculations that Beijing may retreat from its market-opening programme because of persistent problems with capital flight. A-share counterparts; those that have solid fundamentals and strong earnings growth may have the potential for re-rating. At the end of September, the Hang Seng Small Cap Index was trading at a 12 month forward price-to-earnings (PE) ratio of 16.4 times, which was at 13% discount to Hang Seng large-caps, 51% discount to SME and 61% discount to ChiNext*. Stock picking in the mid- to small-cap universe remains a core competence of Value Partners; we will continue to invest in our investment and research resources to ensure we benefit fully from the window of opportunities. Year-to-date as of 30 September, the China and Hong Kong stockmarkets recorded USD24 billion of aggregate net inflow. The two key sources of inflows were the passive monies of emerging market ETFs and the southbound flows driven by the yield chasing demand in mainland China. Active funds, which are based more on expectations towards China’s growth, have registered 13 consecutive months of outflow since July 2015. As the valuation gap between large cap and small cap widens, and along with the economic outlook of China stabilizing, global investors who are underweight on China and in particular on its smaller and mid cap names, may change course anytime and turn the tide. * Based on figures dated 30 September 2016 from HSBC Equity Strategy Report. The views expressed are the views of Value Partners Limited only and are subject to change based on market and other conditions. The information provided does not constitute investment advice and it should not be relied on as such. All material has been obtained from sources believed to be reliable, but its accuracy is not guaranteed. This material contains certain statements that may be deemed forward-looking statements. Please note that any such statements are not guarantees of any future performance and actual results or developments may differ materially from those projected. Investors should note that investment involves risk. This commentary has not been reviewed by the Securities and Futures Commission. Issuer: Value Partners Limited. Our Chairman’s views on the potential trade war between China and the U.S.